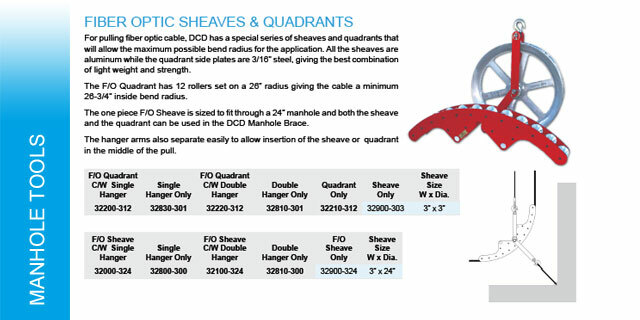 For pulling fiber optic cable, DCD has a special series of sheaves and quadrants that will allow the maximum possible bend radius for the application. 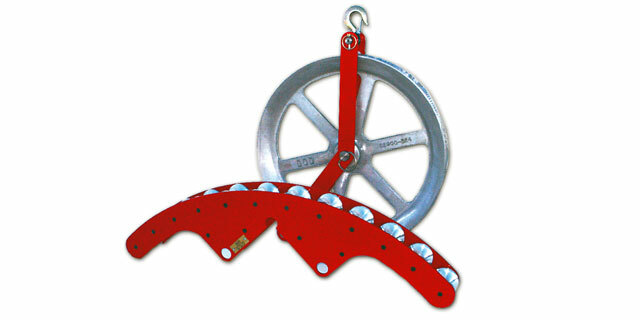 All the sheaves are aluminum while the quadrant side plates are 3/16" steel, giving the best combination of light weight and strength. 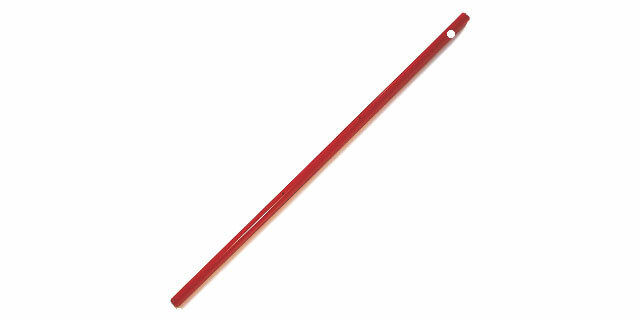 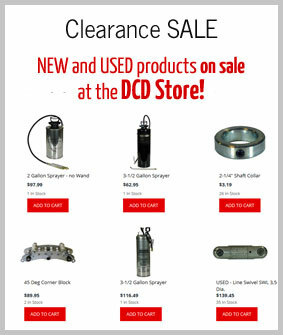 DCD offers single or double hangers to go with their series of cast aluminum sheaves. 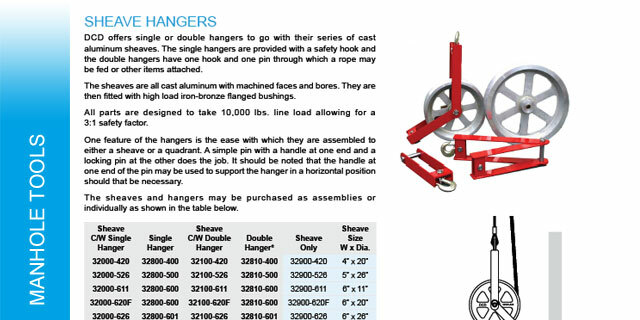 The single hangers are provided with a safety hook and the double hangers have one hook and one pin through which a rope may be fed or other items attached. 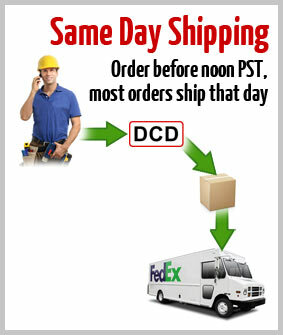 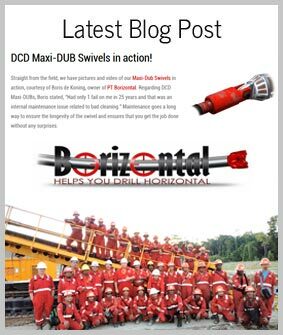 DCD quadrants are designed to withstand up to 10,000 lbs. 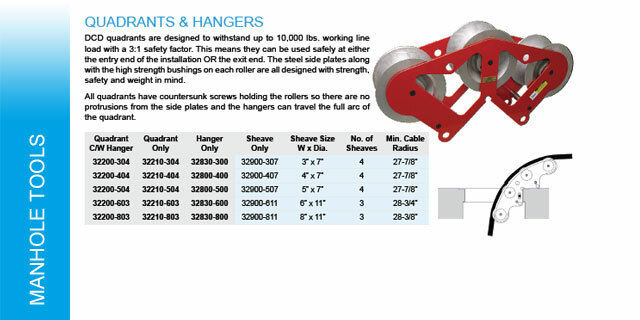 working line load with a 3:1 safety factor. 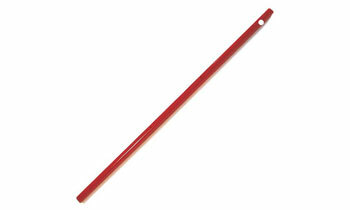 This means they can be used safely at either the entry end of the installation OR the exit end. 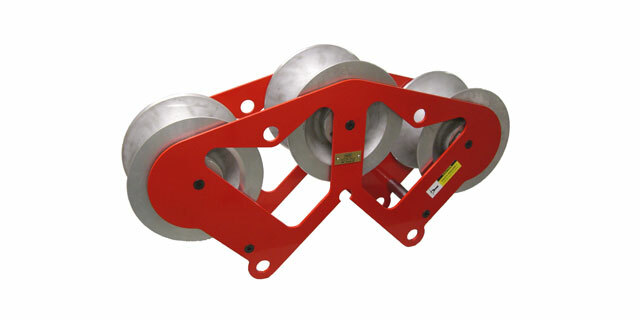 The steel side plates along with the high strength bushings on each roller are all designed with strength, safety and weight in mind. 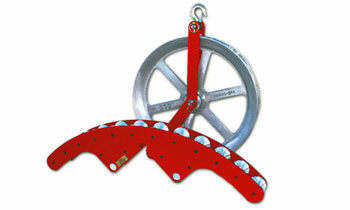 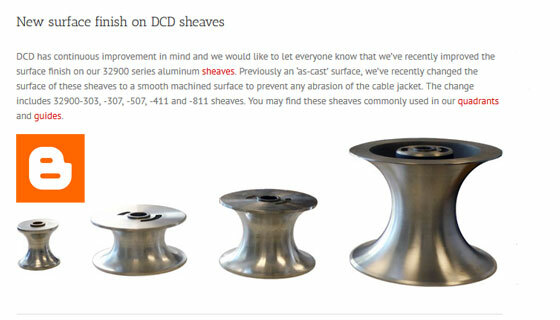 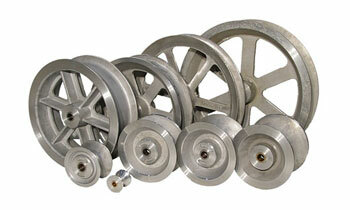 All DCD sheaves are cast from 356-T6 aluminum. 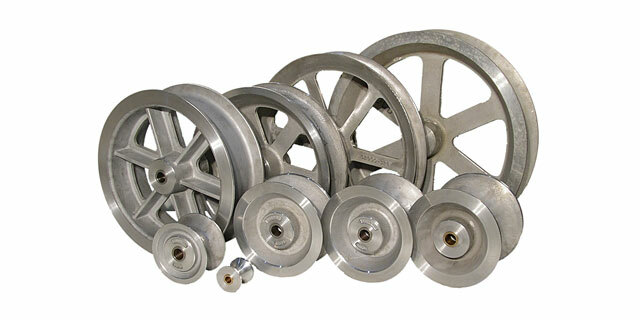 This is a heat treated material giving over 33,000 lbs of tensile strength making it one of the strongest types of aluminum castings available. 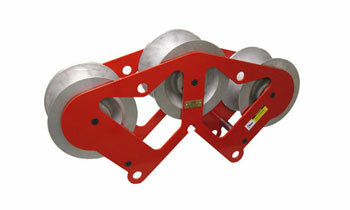 Each sheave is fitted with an iron bronze bushing that take either 1-1/4” or 3/4” diameter shafts. 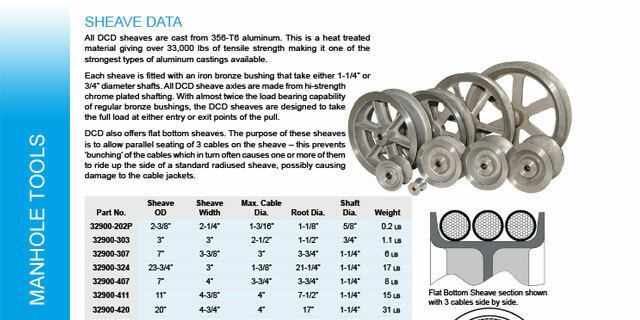 With almost twice the load bearing capability of regular bronze bushings, DCD sheaves are designed to take the full load at either entry or exit points of the pull. 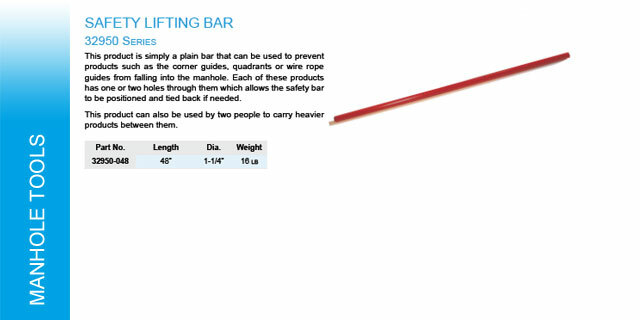 This product is simply a plain bar that can be used to prevent products such as the corner guides, quadrants or wire rope guides from falling into the manhole. 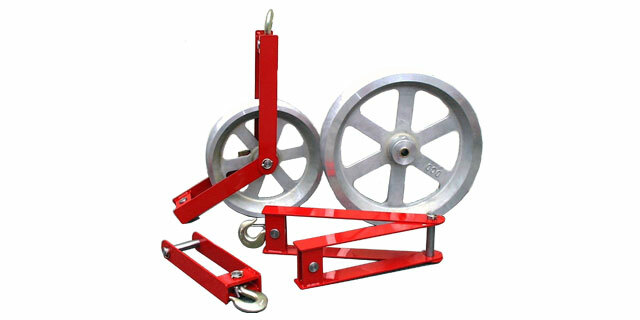 Each of these products has one or two holes through them, which allows the safety bar to be positioned and tied back if needed.